The role of a parent is one of the most rewarding in the world, but it can also be quite difficult. You spend most, if not all of your energy looking after your children, and, as amazing as that is, it can leave you with very little for yourself. Everyone deals with stress now and then, parents more than most, but, when you ignore this stress, it can have harmful and potentially permanent consequences. To help prevent this, here are five ways to look after your mental health. Everyone knows that exercise is essential in weight control and physical fitness, but, what many don’t realize is that it’s key in mental health too. For this reason, you need to make sure that you find time to work out several times a week, if not every day. Instead of giving up time with your children for this, you should try exercising as a family. There are plenty of things that you could do together, including walking in the park, bike rides, and active games, like football. Like physical activity, the food you eat affects your mind as much as it does your body. To ensure that you feel your best, you should eat a nutritious and balanced diet containing plenty of fruits and vegetables. Of course, with work, household chores, and the children, preparing these meals each night can be tricky. Because of this, you should write a meal plan and cook what you can at the weekend. This way, you can freeze your meals and simply reheat them on the right night. Lack of sleep, for which parents are known for, can have incredibly damaging effects on your mental health. Because of this, it’s vital that you combat anything keeping you up and ensure that you get enough rest each night. You should create a night routine for you and your children so that everyone is starting to feel tired and prepared for bed when they should be. You should also make sure that the house is kept cool, quiet, and dark, and that everyone feels safe and secure. When you do something that you enjoy, you instantly feel happier. With that in mind, you should make sure that you do something that you love every day. If you want to work, but have children at home, then consider the many stay at home mom jobs out there. With so many to choose from, it’s likely that you’ll find something you’ll be happy with. You should also make time to catch up with friends and pursue any hobbies you’re interested in. Far too many parents try to struggle through life and never ask for help when they need it. If and when this starts to affect your mental health, you need to take a step back and know to accept support. This could be from a friend or family member offering to watch your children for the afternoon or a doctor or mental health professional suggesting ways to manage your stress. There’s no shame in getting support, so don’t go through hard times alone. Looking after your mental health can and will make you a better parent, so take care of yourself and follow the advice above. **Some of the links in this post are affiliate links, meaning, at no additional cost to you, I will earn a commission if you choose to make a purchase. Contributed post. When most people think about it, there is something in their life that is holding them back. They might not know the cause of the setback which they are facing, but they will certainly see the results, and this can be incredibly frustrating to live with. 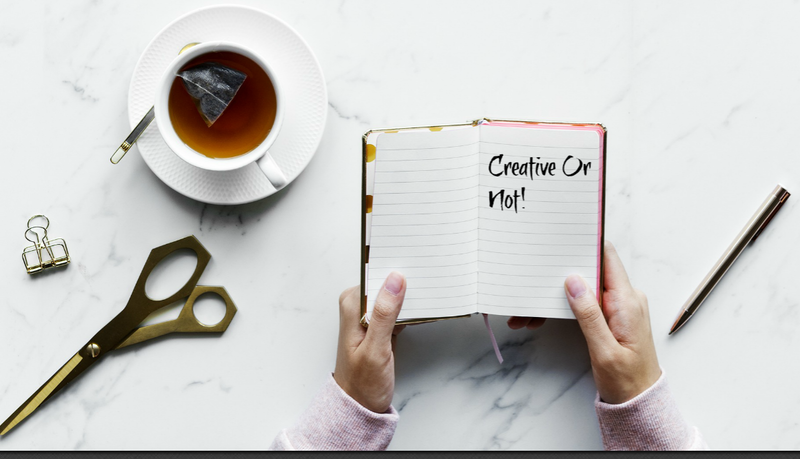 Reasons to Keep a Journal When You’re a Creative Person or NOT! Whether you’re a writer, graphic designer or artist, maintaining your creativity can sometimes prove to be a real challenge. So, what can you do if your creativity starts to falter? Really though who cares if you characterize yourself as a "creative"? We all need help sparking our creative juices sometimes. A journal is an excellent tool you can use to keep your creativity alive. This isn’t the type of journal you use to write your innermost thoughts and feelings (though you could use it for that purpose if it helps). Instead, a creativity journal focuses on helping you to solve problems, brainstorm ideas and practice creativity. Here, you’ll discover just some of the reasons to keep a journal when you’re a creative person. One of the best reasons to keep a creative journal is because it helps you to practice and refine your skills. Creativity doesn’t always come naturally. In fact, it often takes a lot of practicing to maintain it. There’s always something new to learn and existing skills need to be maintained. By writing your ideas down, or practicing your drawing technique in the journal, you’ll continue to develop your skills. Creative journals tend to be disorganized in comparison to standard journals. This means they can be used in many different ways. You can turn it into a sketchbook, notebook, scrapbook or day planner. Whatever function you need it to meet you can use it for that purpose. One problem you’ve no doubt faced many times is coming up with new ideas. For example, a writer often struggles with “writer’s block”, finding it hard to know what to write. In this instance, a journal could be used to write down ideas, in no particular order. Free-writing can really help to get the creative juices flowing and help you to overcome that mental block. You can use the journal to draw your ideas. You may find after doodling your ideas down, it all starts to come together. If you tend to be a perfectionist when it comes to your creativity, it could really be holding you back. That inner critic can literally kill creativity, with everything you create seeming to turn out wrong. A journal can help silence that inner critic. There’s absolutely no rules as to what you can and should put into it. There’s no wrong thing to write, plan or draw. It’s a safe space where your creativity can flow without being judged. These are just some of the reasons to keep a journal when you’re a creative person. They really can help you to not just maintain your creativity, but nurture it too. 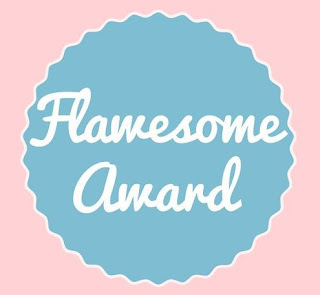 The fabulous Imogen nominated me for the Flawesome Award. This award was created by Sophie Ismaa and is all about celebrating our flaws and turning them into strengths. Link back to the creator and thank the person who nominated you. List three flaws and turn them into strengths. Tag 10 other people to celebrate their flaws too. I tend to be extremely hard on myself. I used to cry in grade school if I couldn't figure out a math problem. I also beat myself up when I got my first B in 3rd grade and cried to my teacher and mom. This, however, is a good thing because it has made me successful and driven my life long love of learning. I get seriously freaked out if things are out of my control. While I was struggling with PPD, this became even more apparent. As we all know, most of our life is outside of our control - you can only control yourself and your reactions. It has made me a great planner at work at parties. You name it - I own what I am doing/trying to accomplish. I cry at commercials. Yes, I'm that teary-eyed one if there's a baby on the TV. My friends have made fun of me for years for how sensitive I can be. I honestly don't know any other way of living and it has given me a huge heart. I will give you the shirt off of my back if you need it. I'm a great hugger and always there to be a shoulder to cry on. Sorry for the brevity in the post, my 2-year-old is trying to attack me while I'm typing this!